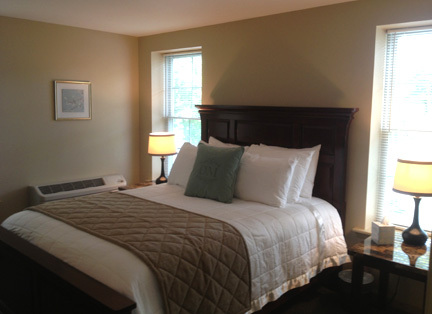 Diamond Mills Hotel is now accepting lodging reservations for our freestanding Extended Stay Apartments. Conveniently located one block from the Hotel Front Desk, the efficiency style guest rooms were designed for longer stays and feature amenities not found in typical overnight accommodations. Plush linens and overstuffed duvets ensure a restful and relaxing stay. 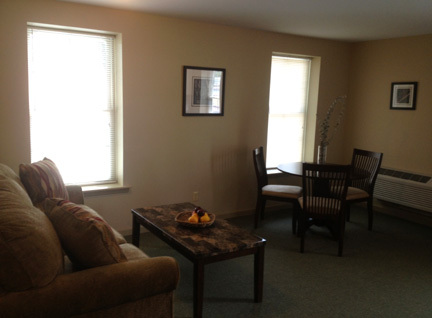 Each apartment features a spacious living room with convertible queen sofa sleeper. 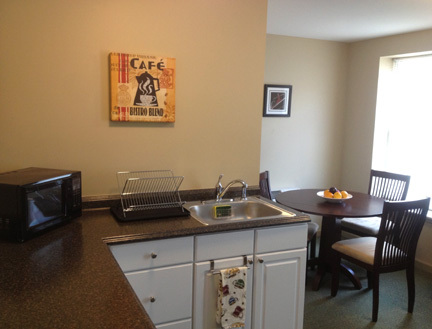 Complete with a pristine kitchenette, each apartment comfortably accommodates 4-5 guests. Comfortable furnishings, overstuffed duvets and fine cotton linens ensure a restful and relaxing stay at the Extended Stay Apartments. One or two bedroom apartments available. Close to Local award winning Savor Spa offering facials, massages, and more. One mile from Saugerties Steamboat marina. Seasonal.